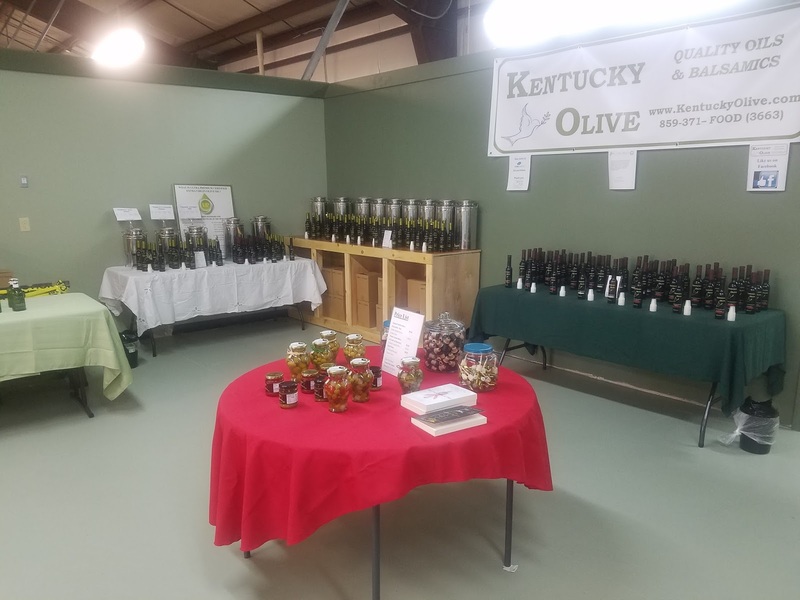 Today's Small Business Spotlight features a brand new business in Northern Kentucky, Kentucky Olive, LLC. 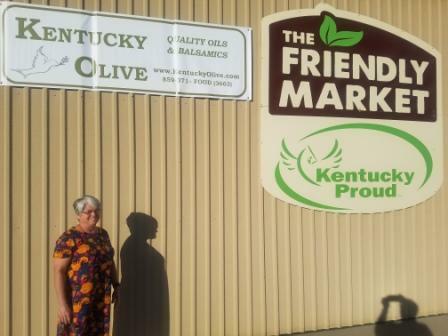 Kentucky Olive opened as part of The Friendly Market in Florence, KY on Memorial Day weekend 2017. After having being a customer of several Friendly Market businesses for quite some time, owners of Kentucky Olive, Tom & Tonia Spille, realized there was a need for a good olive oil & balsamic provider in the same location to complement the other fresh food establishments. After many discussions with the owner of Afishionados, a seafood shop in the Friendly Market where the Spilles had also taken cooking classes, and with additional discussions with a provider of olive oil & balsamic, the couple decided to take the plunge and begin this new adventure together. As with starting any new business, the Spilles have overcome several challenges already. First of all, neither Tom nor Tonia had a strong background in food provision or retail sales. Finding time to launch and run a business has probably been their biggest struggle so far, as both of them work full time jobs as well. They manage this challenge by tackling tasks based on priority, and keeping their eyes on the positive: starting Kentucky Olive has been something the couple can do together. They chose their location at The Friendly Market for the existing customer base there, the support they get from the other businesses there, as well as their ability to support those businesses themselves. The unique atmosphere there really allows all parties the ability to feed each other (pun intended). Their customer base varies widely in age and income, but they all have one thing in common: they care about what they put into their bodies. Customers of Kentucky Olive are striving to be more health conscious, to know their food & what goes into it. 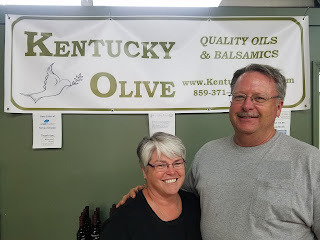 Tom & Tonia currently run the Kentucky Olive store themselves with the help of family members, but they hope to hire full time help as sales continue to grow, and grow they certainly will. The early success of this small business has been impressive. Several local food establishments have already begun using their oils when preparing their food productions, and they are in discussions with other chefs in the area to use their products as well. Their customer base is growing rapidly and they have already received orders from multiple states across the country. It's no surprise that they expect to grow their customer base substantially throughout the next year, and hope to open additional locations in the next 5-10 years. So how do the Spilles explain their success thus far? For starters, their unique location in The Friendly Market draws a customer base looking for unique, quality food. The time & effort they put into finding a supplier of premium olive oils & balsamic vinegars has paid off as their customers have fallen in love with the quality product they find there. Yet with all the work they have put into launching their new business, Tom & Tonia truly enjoy what they do. They have a passion for quality food and sharing ideas with their customers. Working at the store feels less like work and more like relaxation and fun. And for anyone looking to start their own business, the couple wants you to know that they see personal satisfaction as the primary advantage of being your own boss. Making your own decisions, looking back on what you did and knowing that you did it, the ability to see something you've created become successful - these are all things that made entrepreneurship the right path for the Spilles. All photos provided by Kentucky Olive and used with permission. The Spilles are really fine people with excellent product... well worth doing business with.